The Olympic Oval in Richmond, B.C., just south of Vancouver, was awarded a prestigious international engineering prize for its structural design on Friday. The Richmond Olympic Oval will be the site for the speed-skating events during the 2010 Winter Olympics. 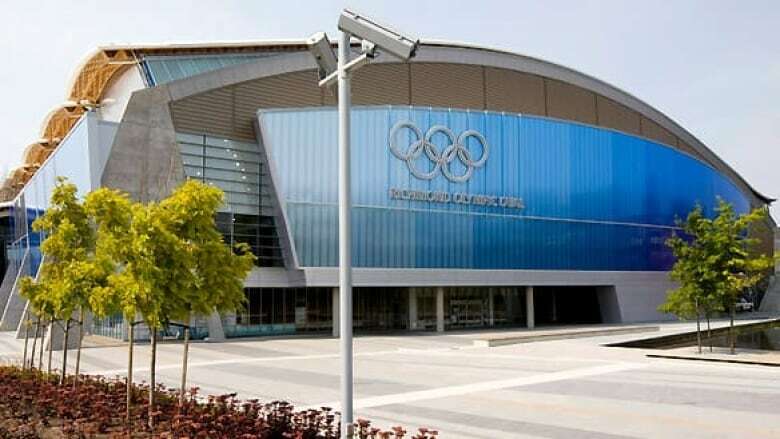 ((Jonathan Hayward/Canadian Press))The Olympic Oval in Richmond, B.C., just south of Vancouver, was awarded a prestigious international engineering prize for its structural design on Friday. 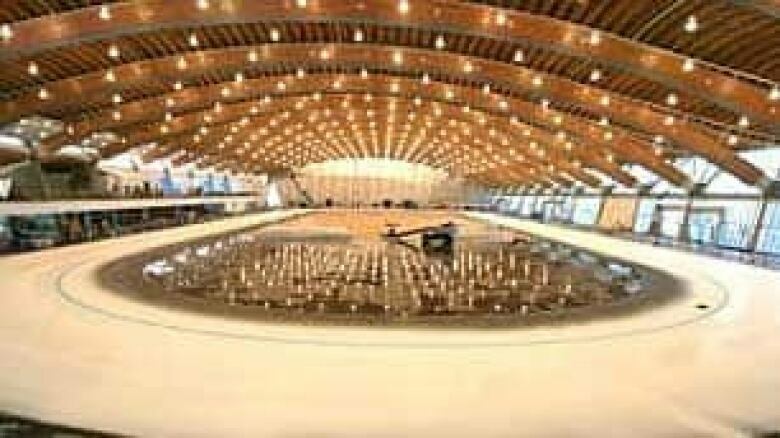 The roof of the Richmond Olympic Oval was built from pine beetle-killed wood from B.C. 's forests. (CBC) ((CBC))Earlier this year, the Oval was also one of 272 buildings shortlisted for the Building of the Year Award at the 2009 World Architecture Festival. It also won the Innovation in Architecture Award at 2009 Awards of Excellence from the Royal Architectural Institute of Canada, in May. The Richmond Olympic Oval, designed by Cannon Design, is a multi-purpose sports and recreation facility. Its roof features hollow, triangular-shaped wood steel arches and so-called wood wave panels constructed from pine beetle-killed wood boards from B.C. forests. Based in London, the Institution of Structural Engineers is dedicated to the art and science of structural engineering.